Other Notes: Fresh-dated for maximum life. This long-life lithium battery comes with 4-year factory warranty. 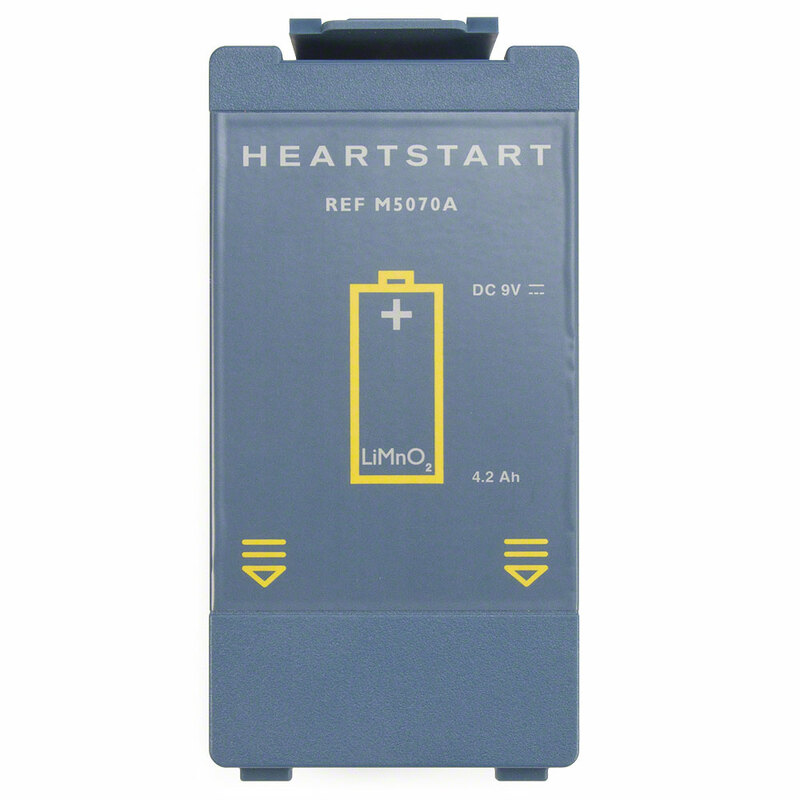 Fresh-dated for maximum life, this long-life lithium battery (item M5070A) comes with a four-year factory warranty and 200+ shock capacity, just like your original HeartStart defibrillator battery pack. Make sure your equipment is up to date by replacing your AED battery, or simply keep an extra on hand for emergency preparedness in the event of sudden cardiac arrest. Click here to read this important notice regarding the use of 3rd Party Batteries in your Philips Healthcare AED. This Battery is Long Lasting! I have been tasked with maintaining our Phillips AED. The AED Superstore kindly sent me a reminder that our pads were due to expire in Feb 2017. While I was looking at the device, I thought it would be good to check the battery. It had expired in 2014, although the light was still blinking! Heaven forbid we have to use the AED and the battery fail after the first shock....truly a nightmare. I could not take any chances with someone's life and I ordered another battery, using our 10% off coupon. Items were shipped to the office and here faster than promised. I replaced the battery, pads and feel much better. 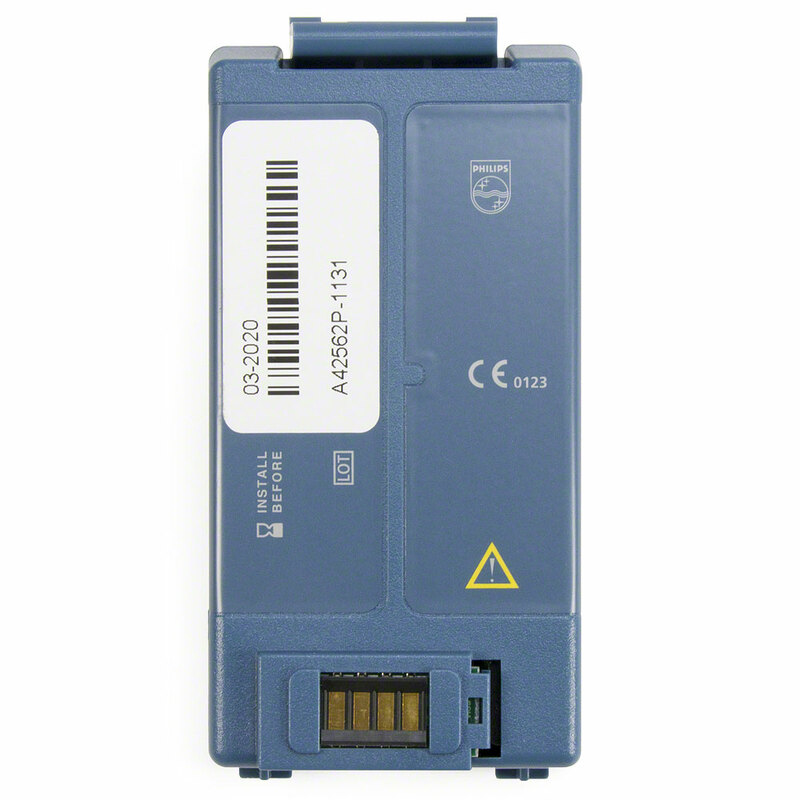 This is a powerful battery and will last longer than the expiration date. Thanks! What I ordered! Quick delivery! Always have met my expectations! As always, you products are of very good quality. The batteries I ordered have a 4 year life and that helps with our bidget. Yes, the AED battery worked just great and was very easy to install. Thank you so much for always reminding me what is about to expire.